You might be a Candidate for Life-Changing Cosmetic Dentistry! Are You a Candidate for Life-Changing Cosmetic Dentistry? 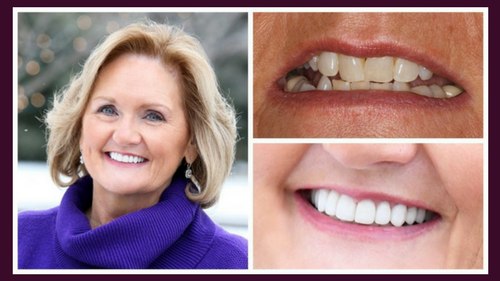 A beautiful and healthy smile is an incredible asset at any age. 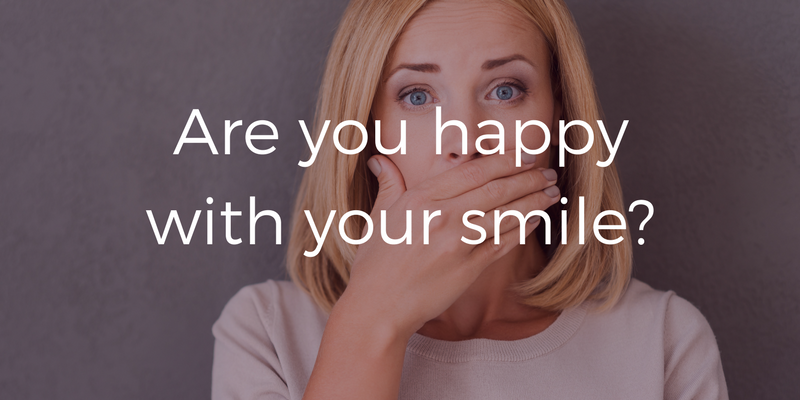 But, a recent poll revealed that a whopping 80% of us are unhappy with our smiles. Whether we have been putting up with a smile flaw that has been bothering us since we were a child or experiencing the natural wear that happens with age, there are affordable and effective cosmetic dentistry solutions for all ages. Do I have chips, cracks or wear? Do I have crooked teeth or are there gaps between my teeth? If you answered yes to any of these questions, then you ARE a candidate for cosmetic dentistry! All our cosmetic dentistry solutions are quick, painless, and frankly a fun experience with our North Oaks dentists, Dr. Horn and Dr. Loween. 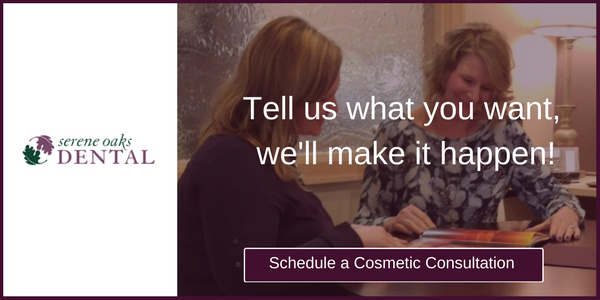 Our doctors will communicate with you every stress-free step of the way, making sure your aesthetic and comfort goals meet your budget, timeline, and needs. 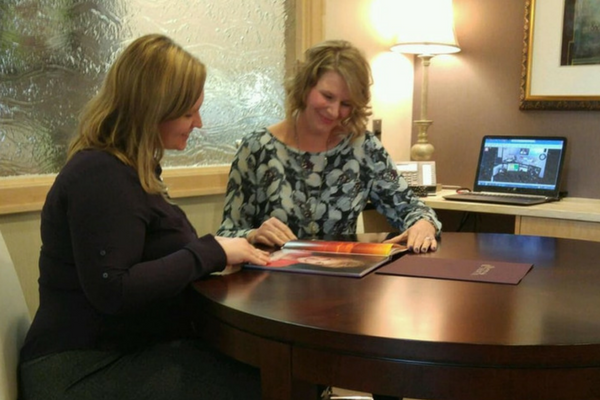 Through excellent communication, we make sure your procedures are stress-free! And the end results? Well, frankly some of them have been dramatic and emotional. When our patients see the difference, their procedure has made to their smile they just can’t believe it. They tell us that now they feel happier, more confident in business and social situations and they just can’t stop smiling! 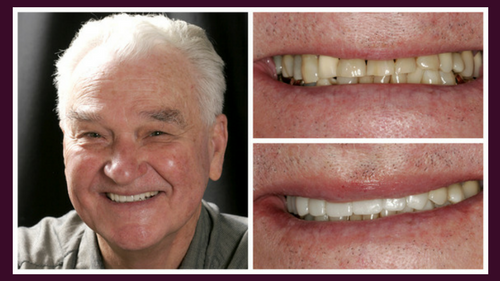 Brian is an excellent example of what a difference cosmetic dentistry can make to your smile and confidence. Dental bonding is a simple process using moldable and tintable material to repair cracks, chips, or discoloration. It is done in just one dental visit. Porcelain veneers are durable and thin porcelain coverings that are permanently adhered to the surface of teeth to correct gaps, crooked teeth, discolored teeth or short teeth. As we age, our teeth age with us. Cracks and chips accumulate, old fillings break down and our teeth become misaligned and no longer function the way they should. Janis needed a smile that was healthy, working correctly and that reflected his vital personality. Smile design is where art meets engineering. It combines a variety of cosmetic dentistry procedures such as bonding, veneers, crowns, and implants to produce a balanced, healthy, and beautiful smile. The finishing touch to just about any procedure is teeth whitening, and we think our patient Jackie is a fabulous example of why. Over time teeth become stained and dull. Brushing and flossing alone may not be able to remove all of this build up. Professional whitening is fast and extremely effective at restoring the dazzle back to your smile. And it certainly doesn’t hurt that a whiter smile makes you look younger and more attractive! Communication with Dr. Horn and Dr. Loween is a vital part of the process. Tell them what you want or envision for your smile or bring in photos of the way your smile used to look or the way you would like it to look. They will let you know what your treatment options are, how long the treatment will take, and the cost. 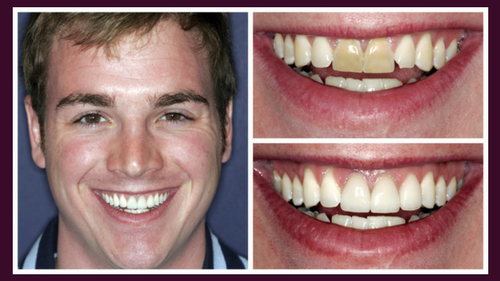 Whatever procedure you choose, we can guarantee that changing your smile will change your life!